The Art of Networking Cocktail Evening panel was held on 4 May at Melbourne’s Intercontinental Hotel. Featuring keynote speaker Amanda Dobbie, CEO of the Women in Banking and Finance organisation together with Kate Vidgen from Macquarie, Edward Kemp from Evans and Partners, Kate Martin from UBS and Felicity Baldwin from Goldman Sachs, the expert panel had a lot of great advice to pass on to attendees. Dobbie began the evening by pointing out that networking isn’t just about fulfilling a career need but a physiological need as well, stating that 80% of our DNA is dedicated to connecting with people. This fundamental drive to make connections with others is what makes networking so imperative. Dobbie believes that students should be prioritising networking and going to functions to meet new people, in order to expand their network. Martin recommended when applying for internships, noting who you have talked to from the organisation in your cover letter. This shows the organisation that you have talked to different people about the particular job and your greater interest in the organisation. She also highlighted the importance of networking with your peers because they may someday become a very important asset of yours. Baldwin said that the key to making a good first impression is to be calm and confident when asking effective and relevant questions. Kemp highlighted the importance of doing your research before going to networking events. However, if you are unable to do research beforehand, you should ask more questions about the person, as it will draw them in. The panel stressed the importance of “having a hook”, that is something that the person you are speaking with will remember you by, whether that be an interesting conversation you had or a story of something that happened on the weekend. The panel discussed what students should do when it comes to keeping in contact with people after a networking session. Baldwin said the most vital part of keeping in contact is to be professional and to take control of the situation. If students intend to email someone to ask to catch up with them for a coffee or to give them a call, they need to be specific about what they want to ask. The panel agreed was important for all students to be respectful of people’s time and their workload when emailing or making a phone call. If students are hoping to follow up with a representative from a firm and ask for their advice, the panel also recommended they should always try to give something back. For example, an interesting article in the newspaper or an article about a common interest that you shared with the representative while networking. Finally, the panel challenged the audience to put themselves forward and to practice their skills. Every person needs to find what works for them and be confident in delivering their carefully prepared questions. The evening was concluded, fittingly, with a networking session, where the Banking on Women members were able to practice their new networking skills with the event sponsors. Banking on Women was founded in 2012 by then Bachelor of Commerce student Lorna Hu, upon receiving the inaugural Credit Suisse’s Investment Banking Women’s Scholarship. 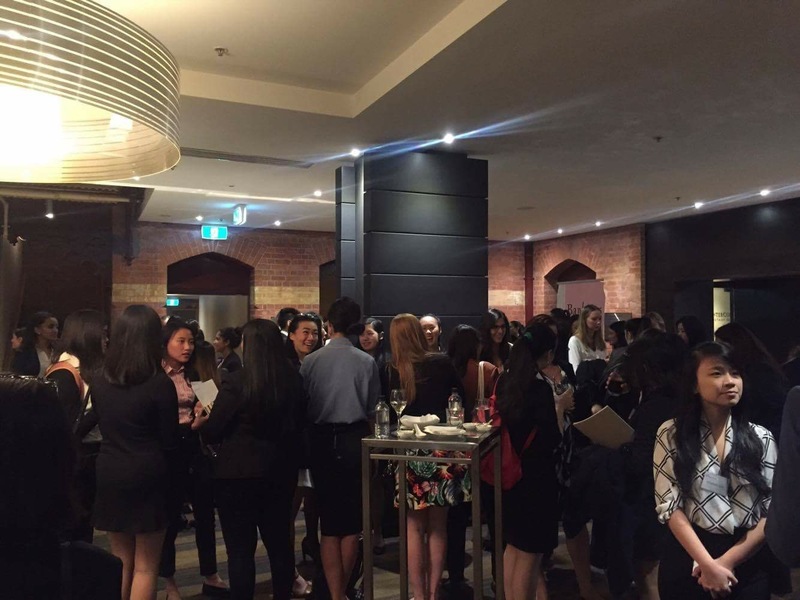 Having experienced lack of information, resources and support during the internship recruitment season first hand, it became clear to Lorna that a community dedicated to like-minded young women interested in the financial services industry was needed. Now, in 2016, Banking on Women has grown its member base, and has secured the support of UBS, Credit Suisse, Macquarie, Evans & Partners, Australian Super and Goldman Sachs, who facilitate a number of seminars and forums for the association’s members.